If you knew that a castor oil bath releases all sorts of tensions in your body, relaxes the muscles and mind, works in disgregating scar tissue, helps in recovering from body pains, cools you down, makes you more flexible and prevents injuries, would you take it? Well, actually that is what it does! and I have been testing it for 1.5 years myself now because I didn’t believe what I heard about it! Usually, after I castor oil bath I feel completely relaxed, as much as going through a full ayurvedic massage or similar. It is not a coincidence that often in India (at least in the South of India), the oil used as a base for the ayurvedic massage is indeed castor oil. I was on my first trip to Mysore to study ashtanga yoga at KPJAYI when I first heard of it from other yoga students. And then I got references to Pattabhi Jois suggesting it, but I only thought it was a crazy thing. But it wasn’t until my second trip there and a conference in which Sharath Jois was addressing a question about why people get injured practising ashtanga, that I heard for the first time of it directly from Sharath. I was very sceptic and decided I would test it, mainly because I was sure it wouldn’t do anything at all. Now I can say I was wrong! Where to find castor oil? In Italy, I do find it in every pharmacy. In South of India, for example in Mysore, in every grocery shop or supermarket (quality is not that good); in the North of India, such as in Rishikesh, in every ayurvedic shop (much better quality). What is the needed quantity? I never use more than 100ml each time, usually just a bit more than 50ml. It is called a bath, but actually do not swim in it 🙂 You just put it on your body like you would do for body cream after taking a shower or a sunbath. Sharath recommends to take a castor oil bath on Saturdays, that is to say the week day which you don’t practice. Sometimes I take it on my last day of practice, once I’ve done with it, as I can feel a bit tired after undergoing the bath and I like to have the next day off. As for the best time of the day, that is the morning time. Avoid putting it on when it gets dark (in ayurveda, they always discourage putting on oil after the sunset). Start putting the oil on the top of your head, in small quantities at a time, and rub it on your hair and scalp. Than you continue massaging it on the rest of the head, including the face (avoid going too near the eyes and the lips… you don’t want it filtering in your eyes and mouth). According to Sharath, the head is the most important part to treat, as this is where the heat developed with the practice accumulates. Hence, the castor oil helps in releasing it. After you have taken your time with the head, you continue on your way down till you reach the toes, making sure you leave a good layer of oil on all parts of your body. While doing it, massage as strong as you can. Once you’ve finished with it, make sure you lay down and rest. You can put on some nice relaxing music to help you in that. An make sure you cover yourself, to avoid getting cold. 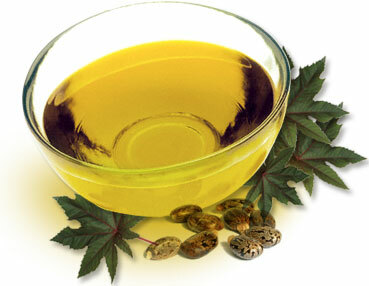 Notice that, usually, if you’re taking your castor oil bath in a warm wheather, you will soon start sweating. No worries, that is the oil doing its work. And if you’re taking it in cold weather, make sure the room where you are and where you will be laying down is well heated. You can experience a bit of a sauna without being in a sauna… sooooo good for the body and mind! How long to keep the castor oil on? If this is your first time, or you haven’t being doing it for a while, don’t keep it more than 10 to 15 minutes. Usually, on the very first time, it can result in being very tiring. As you keep doing it, you can keep it for as long as 1 hour. None, if done as described above. Based on my personal experience, I do love to take the rest of the day easy, not to plan any strong activity as the relaxation feeling stays with me all day long. As you might have got it, I’m now a big fan of castor oil bath, and I take it regularly each time I go through an intense practice, such as right now in Rishikesh. It helps me soooooooo much as taking a massage: my body and my mind find a rest for a while. On the other side, when I’m in Italy and my practice is less strong, I only take it on specific occasions, such as each time I have a body pain… the bulk of the times, that pain is gone within hours from the bath though it depends on how deep and harmful it is. Overall, castor oil bath makes miracles to me! This entry was posted in Ashtanga Yoga and tagged castor oil bath, daily yoga practice, how to prevent pain in yoga, India, Indian culture, K. Pattabhi Jois Ashtanga Yoga Institute, KPJAYI, massage, Mysore, Rishikesh, Sharath, Sharath Jois, yoga, yoga body pain, yoga practice. Bookmark the permalink. May i know who can do castor oil bath? Because i don’t do yoga i just go for jogging daily. If i can do castor oil bath how frequently can i do? Do we have to do only on saturday? Please answer every question. Hi! In India the castor oil bath is a weekly routine for many people, not only for yogis so everybody can do it 😊 Choose just one day a week to do it, better if it’s your rest day. Pingback: Castor Oil Bath | kourtnee. Hi, i am suffering from sleeping disorder last 2 years after one dieting program-Crash diet.After i returned to normal diet,i was sleeping gud for 2days.WHen i had a oil bath at night 7PM in the 3rd day,severe insomnia started which exists until now. Then,after some time,i take oil bath in the early morning at 8AM,the same day i have severe sleeping probm.May be i did some wrong. I usually take sesame oil. Could you help me. and i am just 30. Hi Shiva, thanks for reaching out and reading my blog. I’m a passionate ashtanga practitioner and teacher but unfortunately I’m not a physician, so I’m afraid I can’t help though I wish I could 😦 Have you tried to see a doctor? allopatic, ayurvedic, chinese medicine expert or so on, according to your creeds and beliefs? how do you wash the oil off? Hi Flora, I do use normal shower gel with a scrub glove. Most likely you will need to soap yourself 2 or 3 times before removing all the oil. Some people tend to use special local soap in India, though I must say I never had problems using my usual one, that can change over time. To wash the oil off we use “sunni pindi” or “bathing powder”… u can prepare it if your own …its main ingredient s are turmeric powder, green gram powder,almond powder, chick pea powder etc..